Crowds and Party channels the energies of the riotous crowds who took to the streets in the past five years into an argument for the political party. Rejecting the emphasis on individuals and multitudes, Jodi Dean argues that we need to rethink the collective subject of politics. When crowds appear in spaces unauthorized by capital and the state—such as in the Occupy movement in New York, London and across the world—they create a gap of possibility. But too many on the Left remain stuck in this beautiful moment of promise—they argue for more of the same, further fragmenting issues and identities, rehearsing the last thirty years of left-wing defeat. 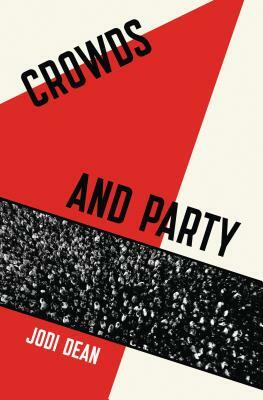 In Crowds and Party, Dean argues that previous discussions of the party have missed its affective dimensions, the way it operates as a knot of unconscious processes and binds people together. Dean shows how we can see the party as an organization that can reinvigorate political practice.